It all started right here in Raleigh, North Carolina, with the desire was to create the finest frozen dessert available anywhere in the world. You see, in 1986, the frozen dessert landscape in America was very bleak. The advent of industrialized food production and advances in the chemistry of food science, such as high fructose corn syrup, had fundamentally changed the way frozen dessert recipes were formulated. Over the prior 30 years, ice creams, frozen yogurts and frozen custards had been manufactured with more and more chemical fillers, stabilizers and flavorings. Producers were making the cheapest recipe, in the highest volume, that had the longest shelf life, and could be sold at the biggest markup - all at the expense of quality. That didn't sit well with us, and consumers had begun taking notice too. There was a void in the market for a genuinely wholesome, high quality product. So in 1987, we set out to create a recipe that would harken back to a time, 50 years prior, when ice cream was made freshly, with honest ingredients, right at the creamery. Our philosophy was that sometimes what you leave out is as important as what you put in, and we decided to leave out all the artificial and chemical ingredients. We would use fresh milk, fresh cream, eggs, honey, pure cane sugar, and only natural flavorings to make our frozen custard. To keep it rich and creamy, we wouldn't whip it all up with air during the freezing process. We would make it every hour to ensure optimal freshness and flavor. The focus of our toppings would be rich chocolates, freshly roasted nuts, and the highest quality fruits. And we would serve everything with a smile (sometimes even upside down!) at a neighborhood creamery. 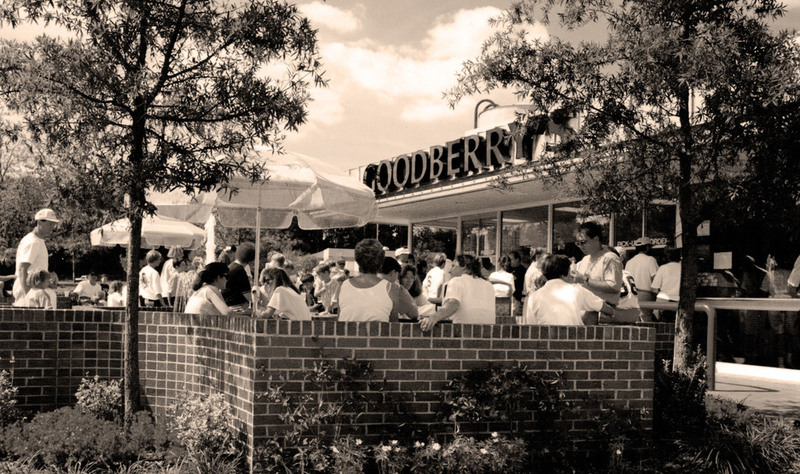 Our first creamery opened in September of 1988, at the corner of Spring Forest Road and Atlantic Avenue in Raleigh. A second location followed shortly after on Kildaire Farm Road in Cary. At the time, we were introducing frozen custard to the southeastern United States. As a result, not too many people knew what frozen custard was, but fortunately they knew they liked what they were tasting and decided to come back. Since those first two creameries, we've opened seven more in the Triangle Area, and even two in Australia. Thank you for signing up! We look forward to keeping you connected to your custard.